Subaru has managed to create an almost cult-like following of its performance compacts – the WRX and the WRX STI. The following includes people from every corner of the car scene including pure performance gear heads, rally-car enthusiasts and car show nuts. 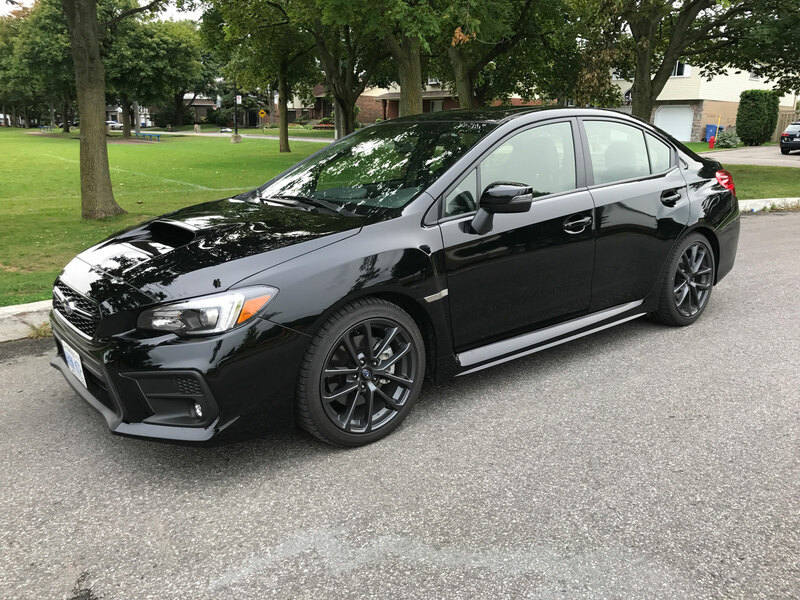 Stemming from the company’s serious motorsports credentials, the WRX and WRX STI pack an enormous amount of performance into the Impreza body that they’re based on. The WRX was introduced in Canada in 2002. I remember vividly because my buddy bought one right away and kept beating my 1999 Integra Type R at the drag strip much to my annoyance. The 2.0-litre turbocharged four-cylinder could also be easily modified with a chip to produce gobs of power. The Subarus also sounded much meaner than the high-pitched buzzing Hondas of the era. The current design hit the market in 2015 and still employs a 2.0-litre turbo making 268 horsepower and 258 lb-ft of torque. That’s a lot of power for a compact sedan (and this isn’t even the full-bore STI powerhouse). 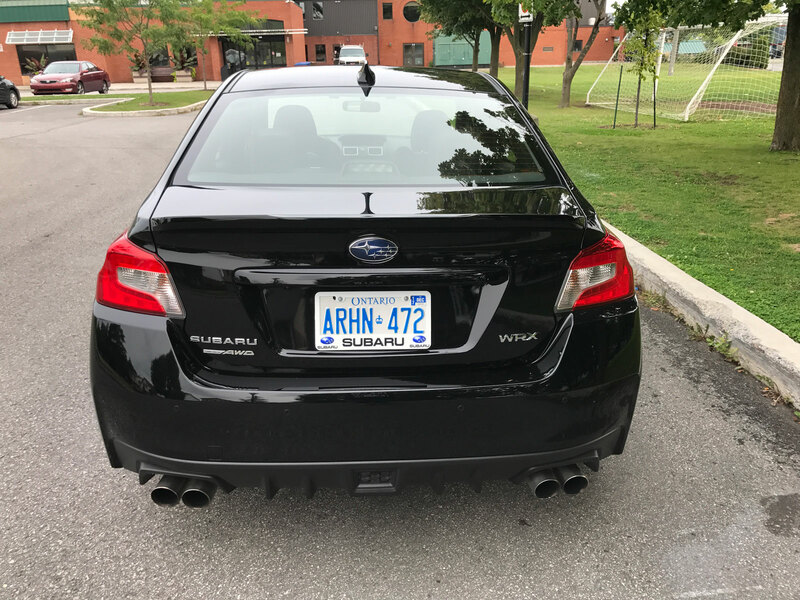 I was surprised at how loud the WRX was without even having a performance exhaust system installed. 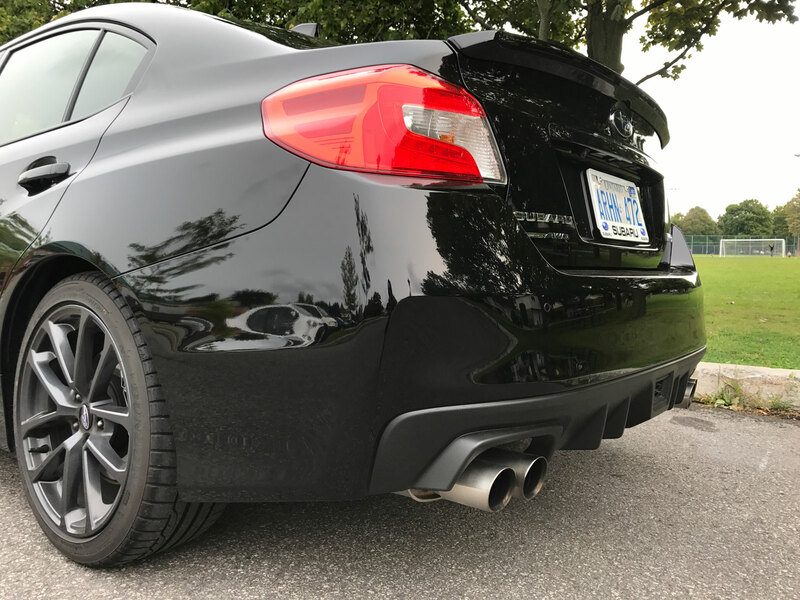 Starting it on a cool morning produces a throaty growl but even during normal city driving the exhaust tone fills the cabin. You don’t realize it until after you’ve shut the car off just how loud it was but your ears experience a sigh of relief upon exit. I’m not complaining as I love the whole experience but it’s something to think about if you plan on using this vehicle for family duty. 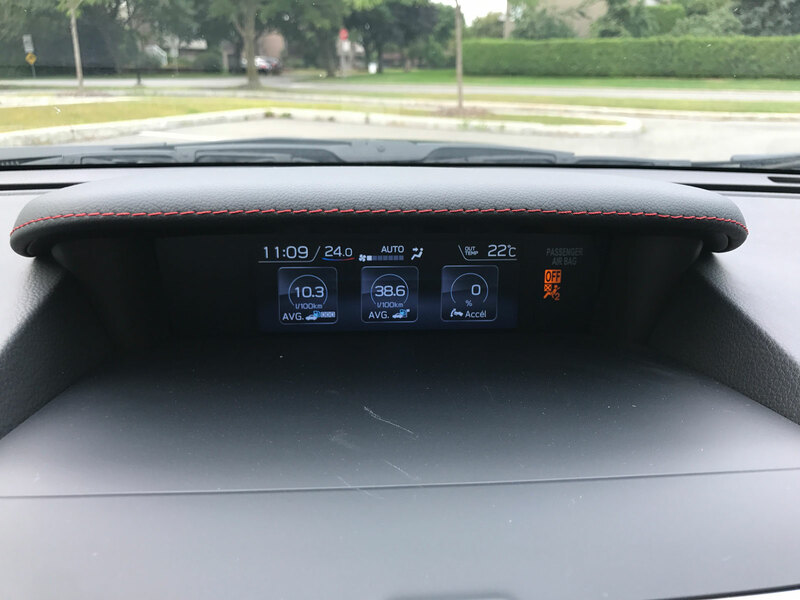 My automatic test vehicle didn’t give the same experience as a manual would have but I do have to say that it was sill thrilling. The throttle response is good and the paddle shifters allow for some spirited engagement. The power band isn’t completely linear and you may notice a few lull points thought nothing critical. 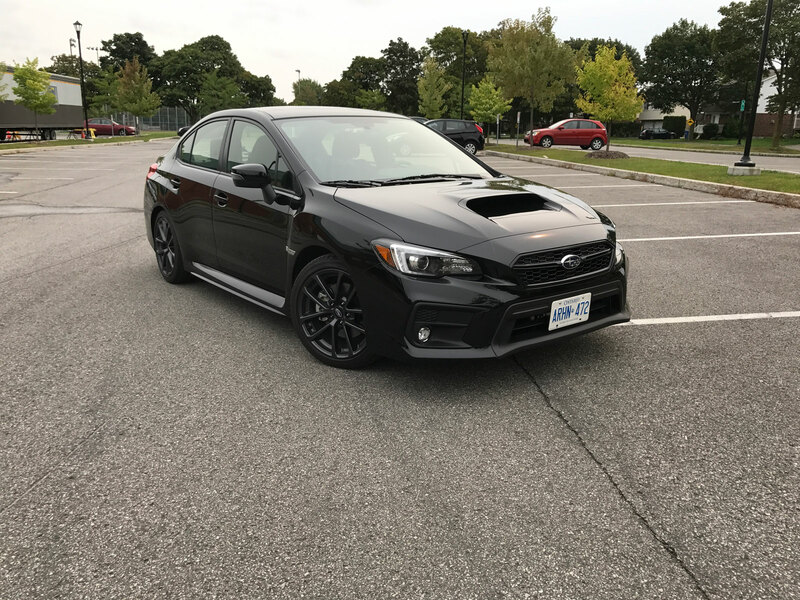 Probably the most impressive aspect of the WRX is its handling. I just tested one of the best handling cars on the road in the MINI Cooper JCW and I’m not exaggerating when I say the WRX feels almost as good. It drives like it’s glued to the pavement and will do anything you want it to. 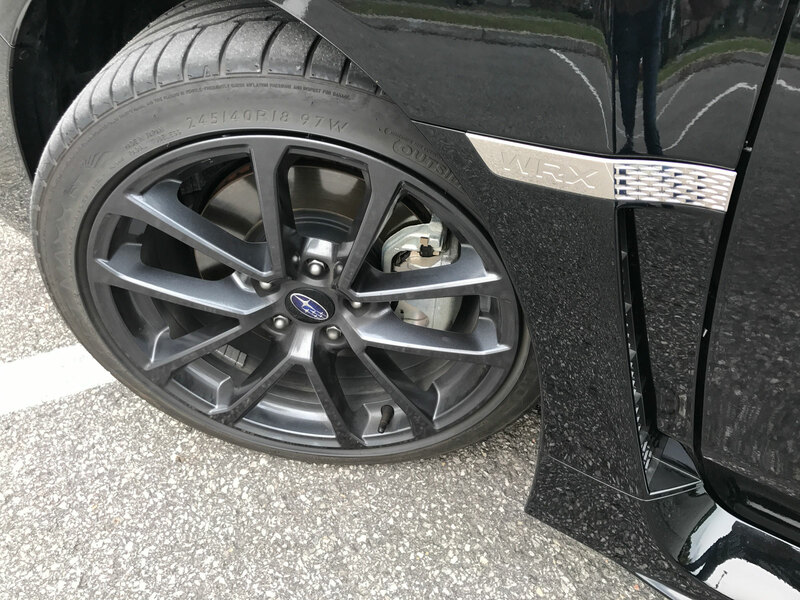 Now some people may complain about ride quality but to get that handling there are naturally some sacrifices that have to be made. That being said I still don’t find the ride too harsh. Could it be that I’m just used to the harsh ride of an Integra Type R? Possibly. But again…this is what the target demographic is craving: fast, loud cars that handle great and ride quality be damned. In prior years the interiors of these vehicles were a little too baron. 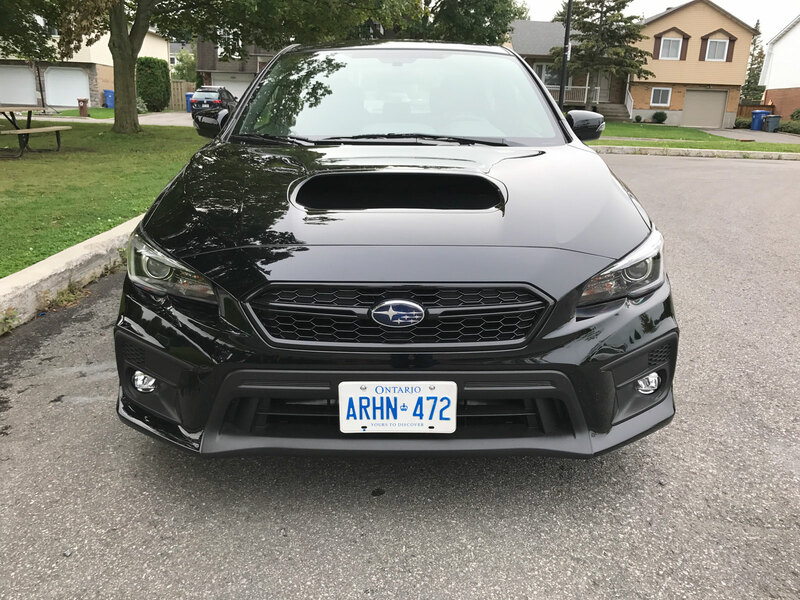 Subaru has made significant improvements in this department, especially with the higher end WRX and WRX STI models. The leather-wrapped flat-bottomed steering wheel is exactly what this car deserves. 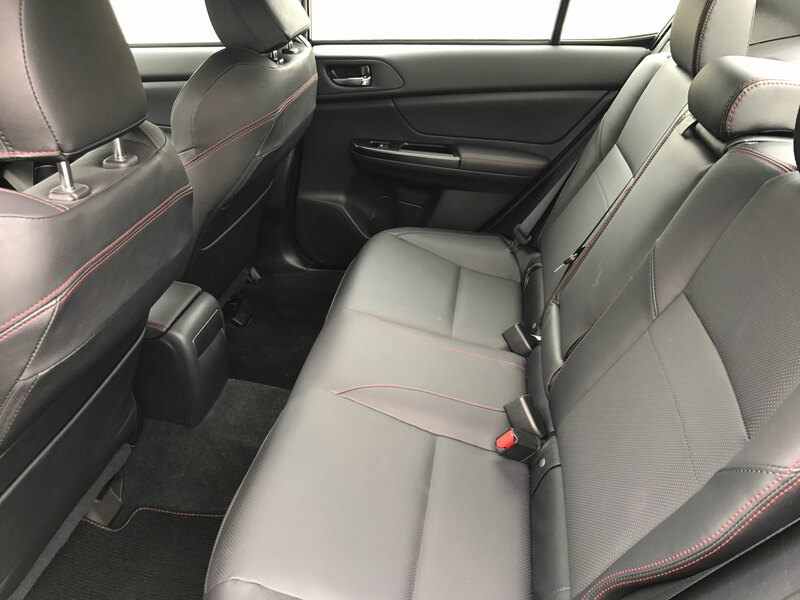 It contains red contrast stitching that is also found on the leather sport seats, shifter and dashboard. All buttons and controls operate well and feel firm to the touch. It’s a major step up from even the prior generation. 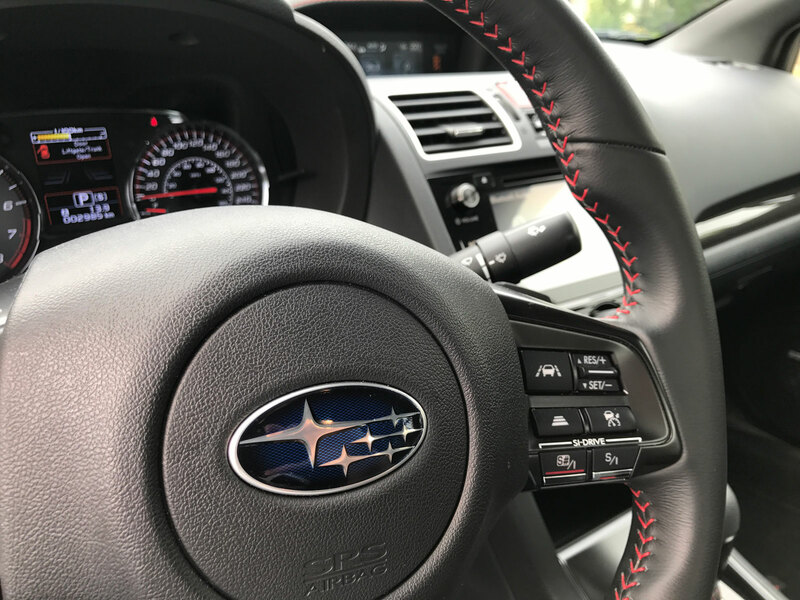 Subaru’s touch-screen infotainment system is adequate though the operation of it isn’t quite as satisfying as I would have liked. I can’t put my finger on what exactly it was that was missing though. The addition of Apple CarPlay and Android Auto would be a welcome edition but aren’t currently available. 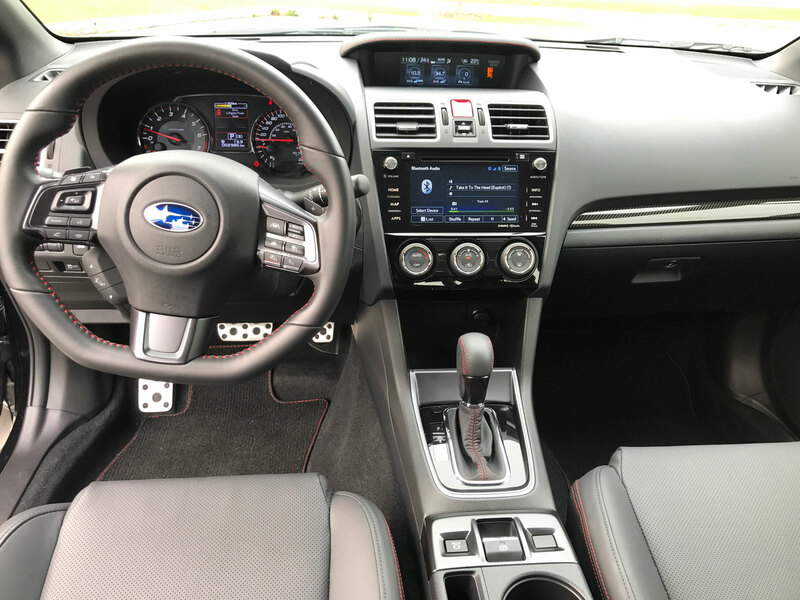 For 2018 Subaru has revised quite a few components of the WRX including the front bumper, front grille, interior trims, gauge cluster, rear fold down armrest, roof bracket and battery capacity. 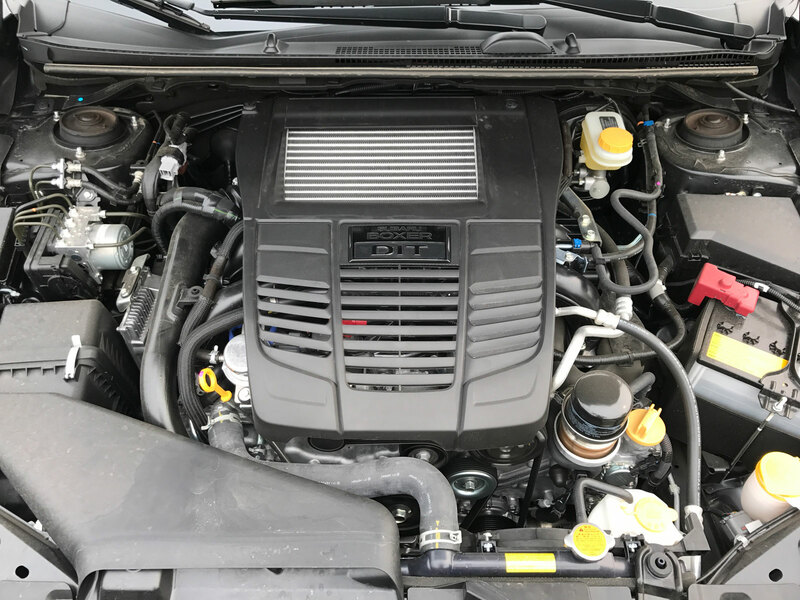 They’ve also re-tuned and improved the CVT transmission, clutch (on the manual), suspension, steering feel, cabin noise reduction and passenger side body strength. 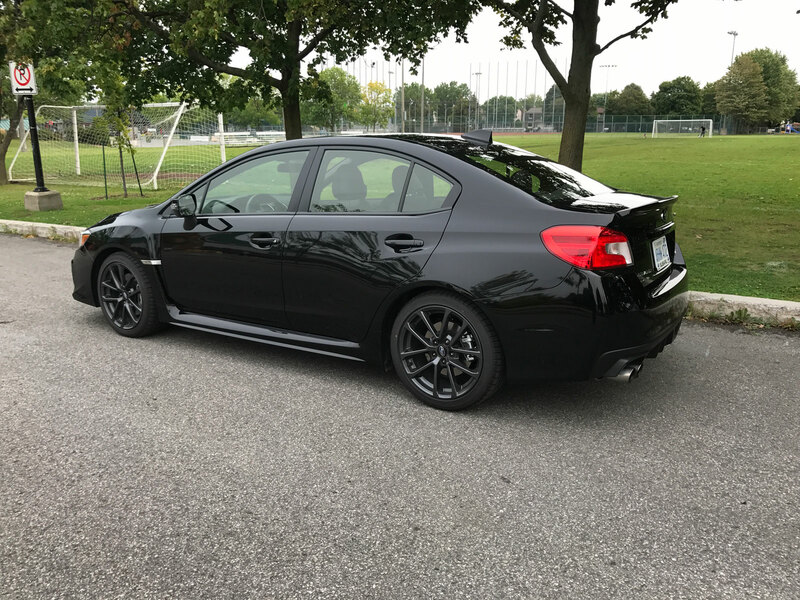 The base WRX starts at $29,995 excluding freight and PDI which is very reasonable price for the performance you’re getting. 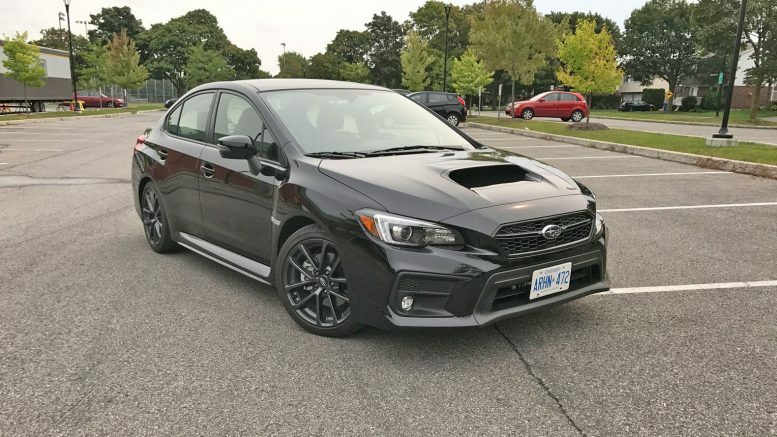 Add the sport package including Subaru’s Rear/Side Vehicle Detection System (SRVD), power tilting and sliding glass sunroof, LED steering responsive headlights, LED fog lights and a 10-way power driver’s seat you’re up at $33,195. 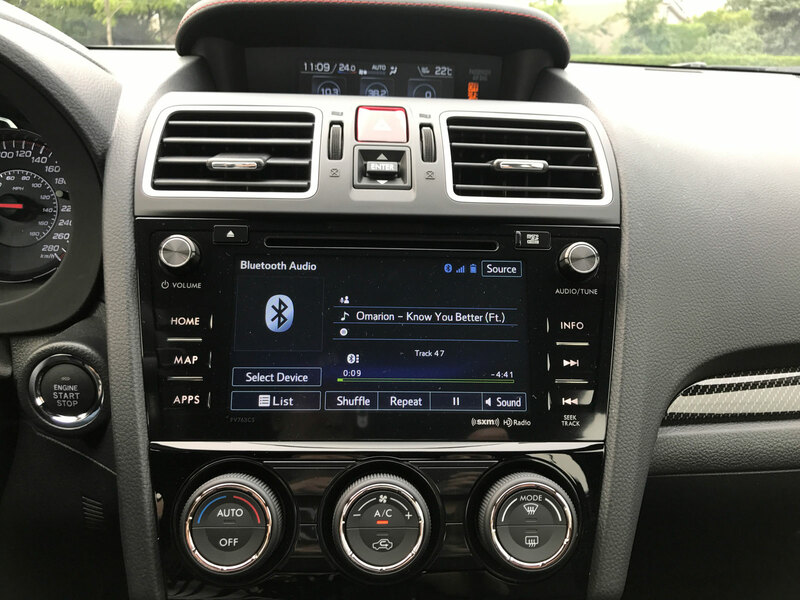 The Sport Tech package brings you to $36,495 and adds a proximity key with push-button start, leather seating surfaces, 7-inch infotainment system with navigation, high-resolution multi-gesture touchscreen, SiriusXM Radio capability, STARLINK apps & services, Harman Kardon 9-speaker sound system with 440-watt amplifier & subwoofer and 18-inch 10-spoke performance wheels in dark gunmetal. 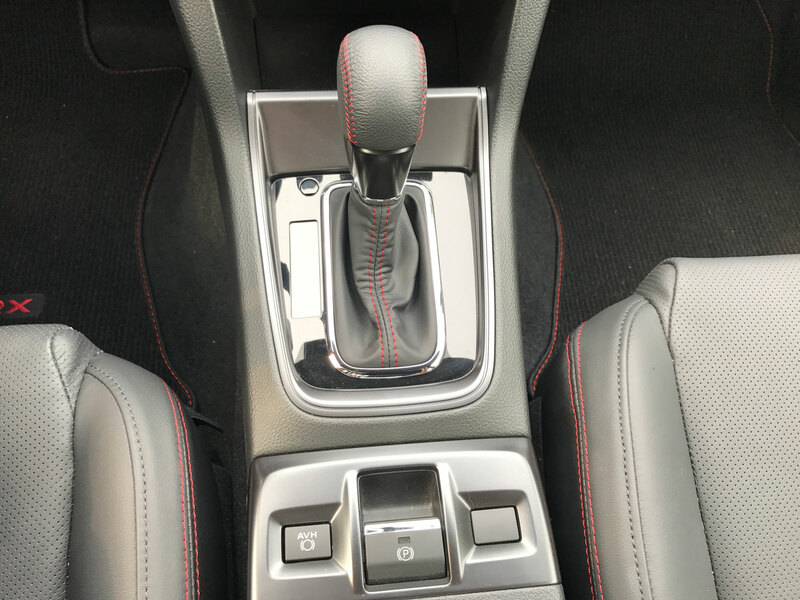 Lastly, if you want to go all out, there is the RS package available only if you have a manual transmission on the Sport-Tech. It includes an 8-way power Recaro driver’s seat with leather accents and Ultrasuede seat surfaces along with Jurid performance brake pads with red painted calipers. I suppose “all-out” might not be the correct right term because the 305 horsepower WRX STI starts at $39,495 and will destroy the WRX in all performance aspects. 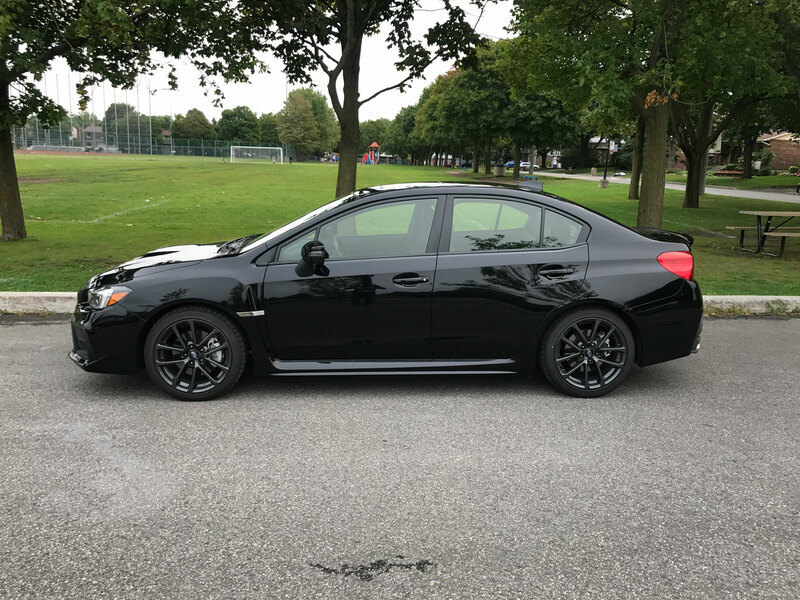 All things considered, the base WRX yields a lot of car for a sub-$30,000 price point. 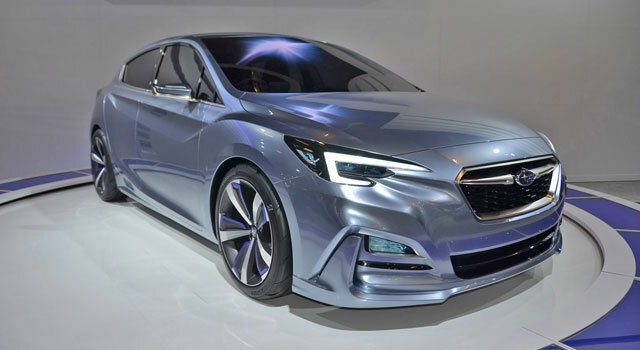 It’s no wonder why Subaru has managed to gain such a large following in many corners of the car scene.